The next event in the popular sprint series will be held at Stanley park in Blackpool on Tuesday 1st July. This area has not been used for a club event for some years and the map has been fully updated by event planner Julian Lailey. More details here. The fifth and final event is the following Tuesday, 8th July. This is at Astley park, Chorley, on the area first used for the British Sprint Champs a few years ago. See details. Please note that the Blackpool event is suitable for all including under 16s while the Chorley event is open to those 16 and over, unless shadowed by an adult throughout. 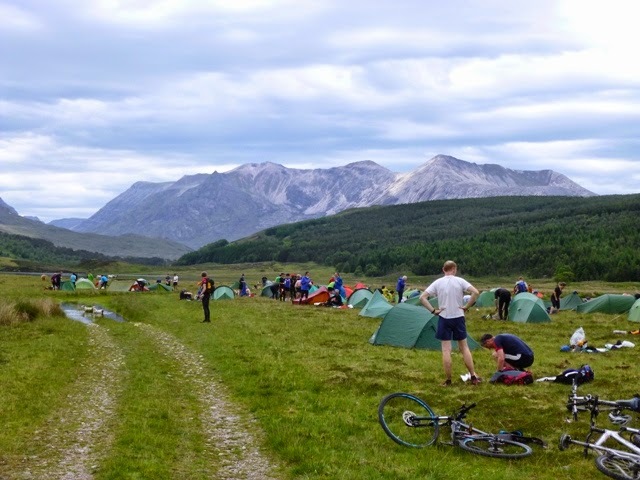 We thank Bob Nash for a series of photos from the recent Lowe Alpine Mountain Marathon. Pictures of the several SROC members at the event and the stunning scenery are in the gallery. Many thanks to our roving photographer Karen Nash for these photos from the Clitheroe event. Please note that as well as the courses for the Scouts and Guide there are two courses especially for other orienteers. There is a conventional Score Course and a special course to test your mettle. This is a Butterfly Course with a difference. There will be no defined Butterfly loops on your map. You will define the Butterfly Loops you run. There will be a detailed explanation both at Registration and on your map. It is a challenge to see how many 'Butterflies' you can complete in the time available. I will provide pencils but you may wish to bring your own marker. Will you rise to the Challenge? League scores after three events have now been published and Routegadget is available for all the events so far in the series. None of the age class prizes has been settled yet. There are two more events remaining so still time to add to your score, or come along and try the sprint format if you haven't already. A select band enjoyed the challenges posed at Clitheroe this evening. Results may be viewed from the series page. Results from the MDOC Twin Peaks weekend of sprint and urban races are on-line here. 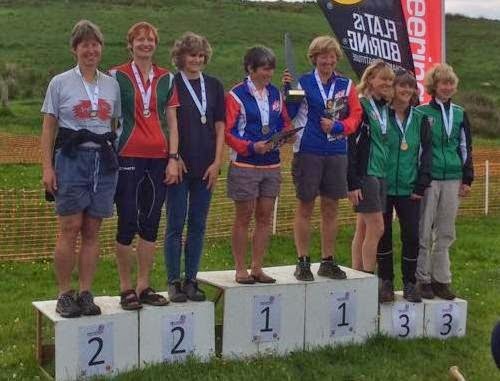 Success for SROC runners in the inaugural North West Sprint Champs on Saturday with Finlay Johnson (M12), Mike Johnson (M35, running up), Deb Murrell (W45), James Walsh (M21) and Sue Harding (W50) all taking gold medals home. In the overall Twin Peaks competition Finlay was once again victorious. The 2014 Lancashire Scout and Guide Orienteering champs will be held at Beacon Fell on 25th June, registration from 5.30. This event is open to all, not just scouts and guides. More details are on the fixture list. The score tables for the SROC summer series have been updated to include points gained at Williamson Park yesterday. Will the early leaders hang on to their positions? Who will be running at Clitheroe in a fortnight? Remember it's best three scores to count, so still plenty of time to increase your total. Last call for hot pot for Clitheroe! (see below). Cyclists are reminded that the SROC family/social bike ride takes place on Sunday 8th June, following the Preston Guild Wheel. Details in this news item. There was a good turnout to enjoy some excellent courses in Williamson Park at the second sprint event this evening. Results may be viewed via the series page. RouteGadget is also ready so please share your route. Important: anyone who would like to eat after the Clitheroe event in two weeks time needs to let Sarah Watkins know as soon as possible, preferably today (Tuesday). There is a choice of hot pot or cheese pie, and the cost is just £3.50 a head. Registration and download are in the pub, and food will be served straight after the final. No SROC relay champions this year but some very solid runs from many competitors. 2nd place in M50 for Mike Johnson, Gavin Smith and Quentin Harding and 2nd again in W50 for Sue Harding, Jo Taylor and Mary Ockenden. The Women's Short team of Zoe Harding, Helen Ockenden and Deb Murrell finished 3rd. All results for the weekend may be viewed from here. Photo: W50 podium, by Mark Edwards. Details for this event on Tuesday, are on the fixtures list. This is the second in our sprint/ short course series this summer. Come and enjoy the challenge the park has to offer.